Recently, on a grade school-only forum on mb2.jp (How you control something like that?) there was a poll allowing users to vote for their favorite Anime. Sports Anime are always popular amongst kids, I remember growing watching Captain Tsubasa and Slam Dunk made want to play Soccer and Basketball. Also action series are also popular, like all the kids in school (including me) were throwing invisible powers at one another. So I get why most on the series are on the list. 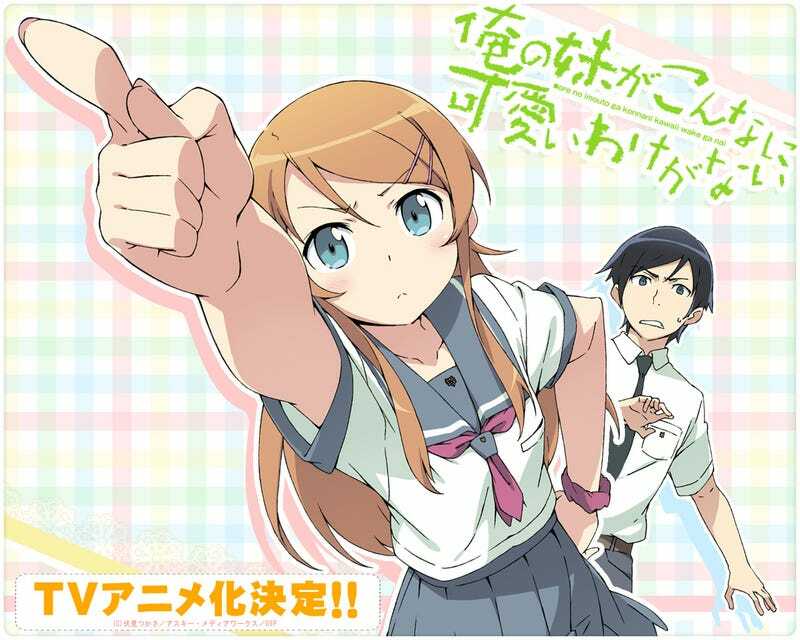 The question here is, What is OreImo doing in that list? Does this mean that the Little Sister genre is popular between grade schoolers? that would explain why there's a lot of SisCon Animes recently. Also I think Haganai is somewhat depressing for kids, although they may learn what not to do in school ?? Beats me.